Your team can use Grata from their mobile devices by installing Grata’s apps in your WeChat Work account. 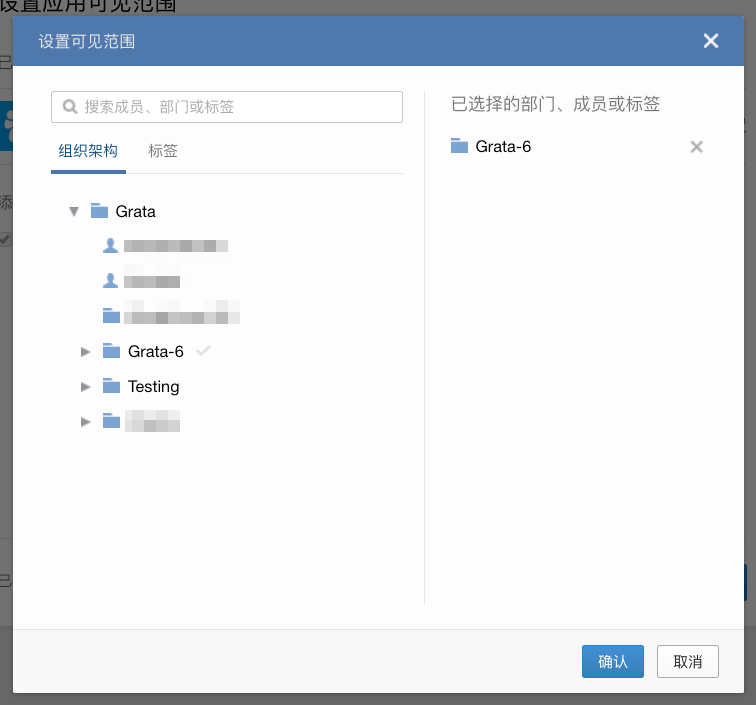 You will need one of the admin users of your WeChat Work account to install the Grata Apps. From the Grata Admin panel, open the WeChat Work page from the bottom of the left side menu. You will see buttons to install both the My Customer app and the Chat Room app. 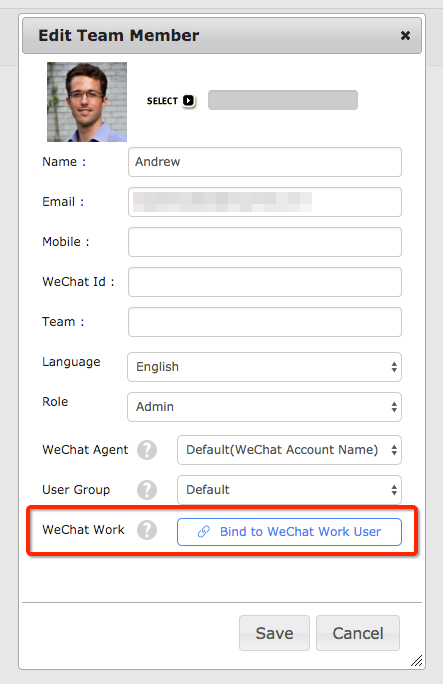 This will allow you to see your WeChat Work users and designate which individual users or teams you want to use Grata. Teams and users with access to Grata are listed in the right-hand column. 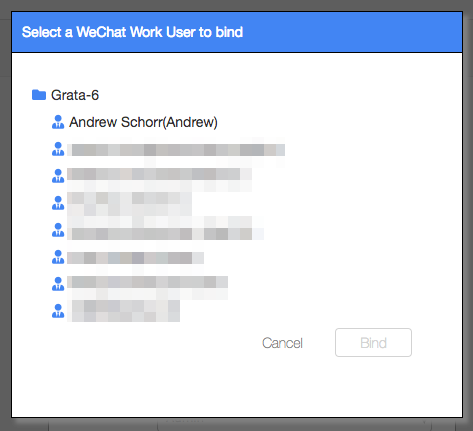 After both apps are installed, you will need to link your WeChat Work users to your Grata users. Do this from the User management page in the Team section of the Grata Admin side menu. When you create a new user or edit an existing user, you can click the button to bind that user to WeChat Work. Your app are now ready for use. Check out our help page on how to use WeChat Work apps here.